Canyon de Chelly National Monument is located in North East Arizona approximately 100 miles from four corners (where Arizona, New Mexico, Colorado, and Utah meet). This area is rich in cultural history and jaw-dropping scenery! It is easy to see why visitors keep coming back to this incredible area year after year. Canyon de Chelly is unique as they still have people living within the park and not like many of the ruins that most visitors come to see. There are ruins here but today people still live here as they have for approximately 5000 years. Navajo people call this area their home and continue to live in and on top of the canyon by raising livestock and farming. 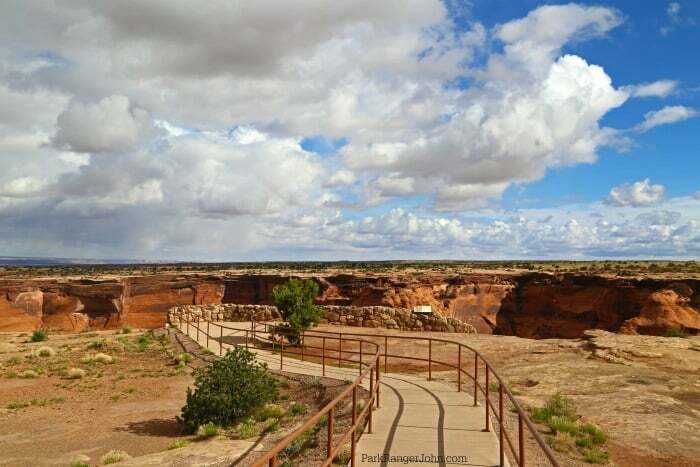 This means that much of the park is privately owned and the park co-managed between the National Park Service and the Navajo Parks and Recreation Department. 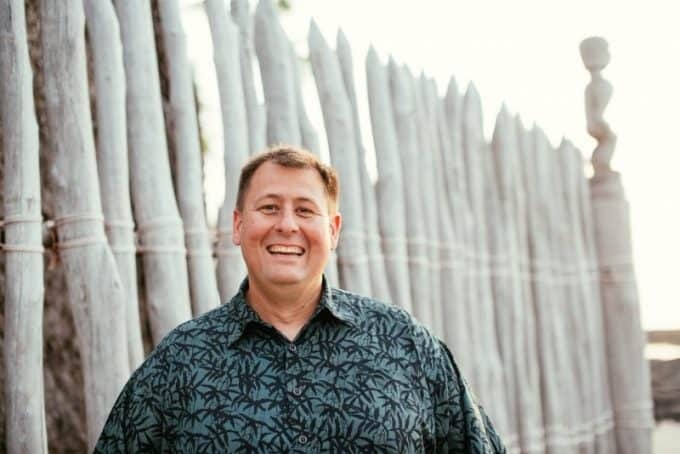 I have a great appreciation for the Navajo People for allowing visitors like me to come to their home and see its natural and cultural beauty. From the scenic viewpoints, you can gaze down at the canyon floor lined with cottonwood trees. You can see where for thousands of years of Native American families have lived and farmed. 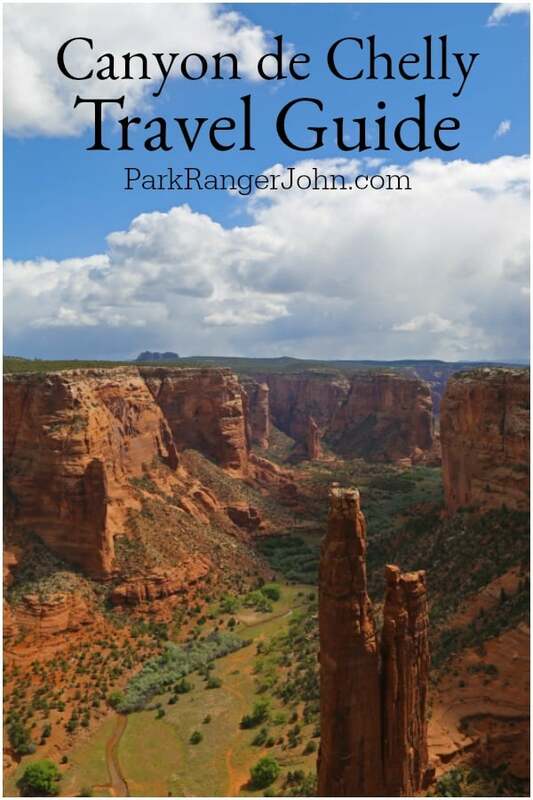 Here is my list of things to do and travel tips to plan your unforgettable trip to Canyon de Chelly National Monument. I have to say that this is a must do in Canyon de Chelly National Monument! It is easily accessible for most people with only short walks to breathtaking viewpoints. Make sure to allow yourself at least 2-3 hours to see the South Rim Drives seven overlooks over 37 miles roundtrip. Keep a lookout for the fixed telescopes at the overlooks as they give you a great view of the ruins below. Each viewpoint also offers something different from farms inside the canyon, sweeping views to ruins! Along the South Rim Drive, you will pass some of the most famous views within the park. 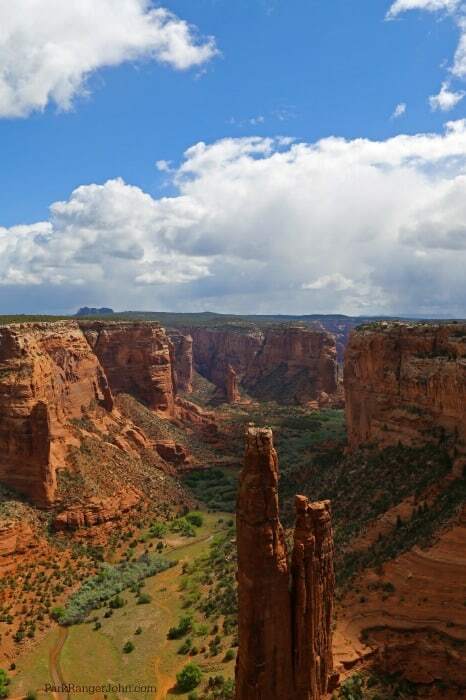 Junction Overlook offers a view of the confluence of Canyon De Chelly and Canyon Del Muerto. The South Rim Drive ends at the famous and amazing Spider Rock! This rock is an 800-foot eroded pinnacle rising from the canyon floor. The White House Ruin Trail is the only trail within the monument that you can hike into the canyon without a backcountry permit or have a designated guide. It’s a 2.5-mile roundtrip loop with 600 feet of elevation gain/loss. You will get to cross the Chinle Wash and get an up-close view of the ruins. Remember that these areas are protected so don’t enter or disturb these as they are protected by Federal and Tribal Laws. Plan 2-3 hours for your hike and carry plenty of water and sun protection. The North Rim Drive also takes 2-3 hours and is 34 miles roundtrip. There are an additional three overlooks with beautiful cliff dwellings. The highlight for me was Antelope House Ruin, named for the illustrations of antelope by the Navajo Artist Dibe Yazhi who lived here in the 1800s. You can take side roads to many amazing ruins including Mummy Cave Ruin, which is one of the parks largest structures that includes dwellings and ceremonial buildings flanking a central tower. Massacre Cave where in 1805 Spanish Soldiers killed 115 Navajo Indians who were trapped on the ledge of the canyon wall. Along the North Rim Drive you can see the farms and traditional hogan homes of modern Navajo including pastures and fields. 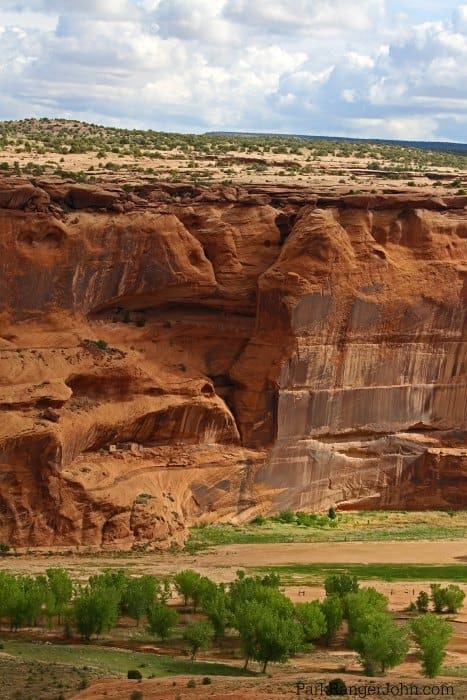 I have always heard that the best way to see Canyon de Chelly is from inside the canyon. We planned on doing this but were greeted by lots of rain on our trip! It finally cleared on our last day so we visited all of the overlooks and still had a great time! It did, however, leave us wanting to come back. To go inside the canyon you have a backcountry permit that can be obtained at the Navajo Parks and Recreation Department Office by the campground and to hire a licensed guide Navajo Indian guide. There are several types of tours within the canyon including horseback & Jeep Tours. Make sure to choose an authorized Tour guide along with your backcountry permit. The Cottonwood Campground is a first come first serve campground with no showers or hookups. Call Navajo Parks and Recreation Department at 928-674-2106 for more information. You can stay at the only hotel within Canyon De Chelly at the Thunderbird Lodge. They offer a variety of rooms including pet-friendly rooms. Canyon de Chelly National Monument is co-managed with the Navajo Parks and Recreation Department. There is no fee to visit Canyon de Chelly but there are fees for backcountry permits, camping, special use permits, and Canyon Tours. The Navajo Parks and Recreation Departments office is just outside the Cottonwood Campground and issues the Backcountry permits and manages the campground. The visitor center is open year-round between 8am-5pm and closed Thanksgiving, Christmas and New Years Day. The Visitor Center may also be closed due to severe weather. The park is open year round and is easily accessible by car. Park Ranger John Pro Tip: Time change can be a pain, especially when traveling between parks. The Arizona Area is no different! As most people already know, Arizona does not participate in daylight savings time and remains on Mountain Time year Round. The Navajo Nation is the only place in Arizona that does change time and will have the same time as Colorado, Utah and New Mexico. The town of Chinle is two miles from the park entrance and has most amenities you may want/need like fuel, hotels, restaurants, laundromat, hardware store, etc. Do not disturb any of the ruins, dwellings, or the many natural and cultural features, they are protected by law and strictly enforced. Most of the park’s roads are in an open range area. This means that there can be livestock on the public roadways. I saw several horses on/next to the road during my visit and you are responsible for all damages to livestock and your vehicle when the area is posted as an open range area.